Despite a spike in Ebola cases in the Democratic Republic of the Congo (DRC) over the past few weeks, the World Health Organization (WHO) says that the outbreak there is not a public-health emergency of international concern. The WHO decided against declaring the emergency on 12 April because the outbreak is limited to two provinces in the country’s northeast. The area is a conflict zone that’s home to more than 20 armed groups, as well as opponents of the DRC’s ruling political party. Increased political tensions are complicating the organization’s attempts to curb the outbreak, said Tedros Ghebreyesus, director general of the WHO in Geneva, at a press conference on 12 April. He also appealed for more funding and community outreach. “Everyone here agrees we must do everything possible to end this outbreak as soon as possible,” said Ghebreyesus. And the most important task is to gain the trust of people in Butembo and Katwa, towns in northeastern DRC where some have been reluctant to report symptoms at Ebola clinics and to be vaccinated, he added. Ghebreyesus said tensions rose after the DRC government blocked people in the northeastern DRC from voting in the December 2018 presidential election because of Ebola. The move seemed to confirm suspicions among those communities that Ebola is a tool the government wields to marginalize opposition, according to front-line responders and anthropologists. There have been 1,251 cases of Ebola in the DRC, as of 13 April, and 803 people have died, according to the WHO. This is despite the widespread deployment of an experimental vaccine, called rVSV-ZEBOV that is made by Merck of Kenilworth, New Jersey. Mike Ryan, WHO’s director of health emergencies, attributes the problem to mistrust of Ebola responders who usually aren’t from affected communities. About 10% of the people who are offered the vaccine avoid or refuse it, he said. But those who are vaccinated are likely to benefit from it, according to a preliminary report that WHO released on 12 April. Less than 1% of the nearly 94,000 people who received the Ebola vaccine later developed the disease, the group says. Of the 71 vaccinated people who became sick, most developed symptoms during a 10-day period before rVSV-ZEBOV is thought to be effective. The report warns that these results didn’t come from a controlled clinical trial, so they should be viewed with caution. 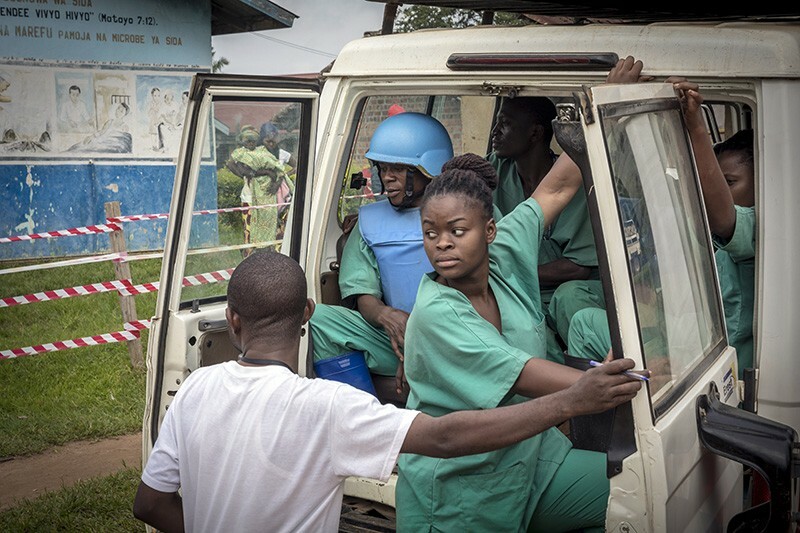 Update 15 April 2019: This story has been updated with the number of Ebola cases and deaths as of 13 April.